VALENTIINE’S DAY SPECIAL! This just in! Rock Gods McDonald Brothers to call in to chat with Esoterica on The Sonic Bloom Wed., 2/14 at 2:05 p.m. EST! Steven McDonald (Off!, Melvins, Redd Kross) and Jeff McDonald (Redd Kross, Ze Malibu Kids) started in a band called the Tourists in Hawthorne, CA in 1978 and they are still kicking out the jams, just returning from a European tour with the Melvins. Checking out Steve’s instagram this week reveals that, lucky for us, Redd Kross is working on another album. 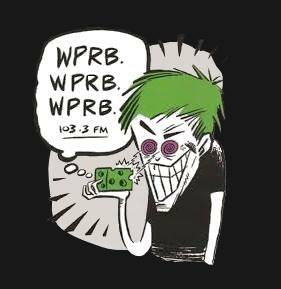 Tune in to 103.3 or stream at www.wprb.com on Wed., 2/14, at 2:05 p.m.(EST)/11:05 a.m. (PST) to hear Esoterica ask about this new Redd Kross project, other things Steve and Jeff are working on, as well as dig into the early days of SoCal punk.